From many stunning Vietnamese Dish Recipes, today I would like to introduce a lovely dish for all you guys. 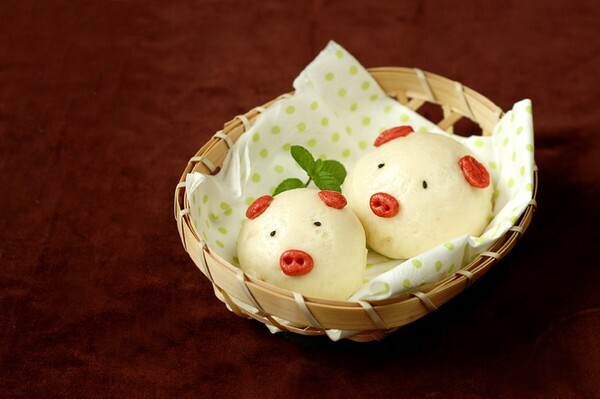 It is called Sweet Bun in Pig Shape Recipe (Bánh Bao Ngọt Con Heo). With this process, you not only can taste a stunning food, but also can create many lovely pig shapes. If you have kids, I bet they will totally fall in love with this style and really want to eat them. For making these buns, you only need simple ingredients. Let us start cooking one of amazing Vietnamese Dish Recipes right now. Step 1: Soak yeast with a little warm water (2 – 3 teaspoons) in 5 – 10 minutes. 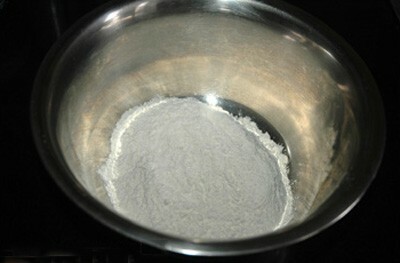 Pour wheat flour into big bowl; then add mixture yeast and knead well. You can add more water and continue kneading until it does not stick your hands anymore. Separate into 2 parts: one small, one big. Roll into circle shapes. 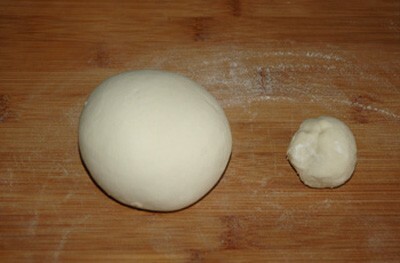 Step 2: With small part, add color flour and knead well. Use food nylon to cover them carefully in 30 – 60 minutes. Then, use the color flour part; create ears and noses for pig buns. Here is the new style to create one of stunning Vietnamese Dish Recipes. Step 3: Knead quickly the white flour part, separate into 5 equal ones. Roll into small circle shapes and press gently. 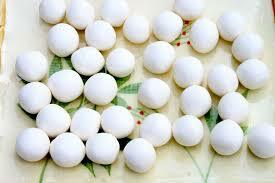 Add red bean filling on the center of each ball, wrap and roll carefully. Step 4: Add ears and nose of pig for each bun. Then add black sesame for eyes. Bring them to steam in 10 – 15 minutes. Then, turn off the heat but still close the pot in 2 minutes. Finally, you can enjoy it now. This food can use for your healthy breakfast or lunch. You also can change the fillings with mung bean, purple yam and coconut. They are all delicious with different flavors. How do you think? It is really interesting, right? Hope you will choose this recipe and make for your family this week. Good luck for your cooking and do not miss our next Vietnamese Dish Recipes tomorrow.